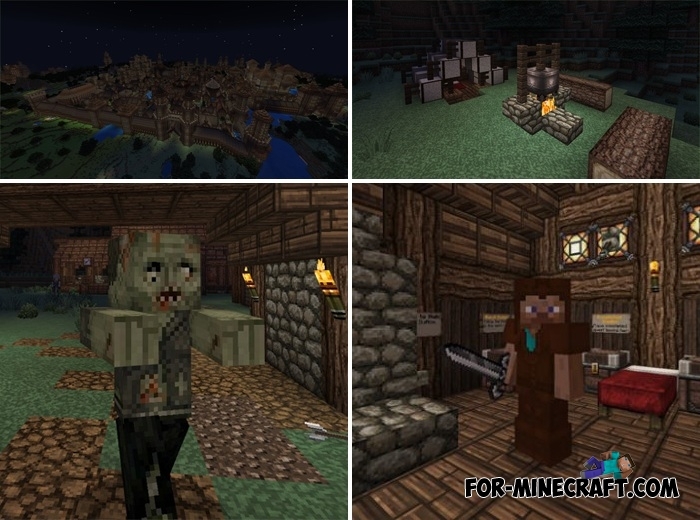 Minecraft Bedrock offers you an open and boundless world for research and survival. It was this feature that became decisive when creating this map. Here you find yourself in a huge kingdom filled with magic with a particle of danger. Kingdom of Avon is more like the Elder Scrolls series: a lot of details were taken as a basis and moved here. The whole kingdom, small settlements and a huge world where you can meet not only peace-loving inhabitants but also hostile monsters. Go to find relics, but first you should learn more and read the directions. According to the plot, the big dragon is a barrier to peace in Kingdom of Avon. You probably already guessed what you need to do next. The map is connected to thematic textures and was created on MCPE 1.2.6. Thanks so much :) BTW if you wish to keep the download link updated, see MCPEDL for when I have updated the map. Hi, thanks for posting my map here! Please could you appropriately credit me as map creator? Thank you.